#52. Berkley Springs. 25 x 30, oil on canvas. "Gilbert Munger" lower left; "Gilbert Munger, Berkley Springs, Aug 1894" reverse in ink apparently in Munger's hand. The only Berkley (correct spelling is "Berkeley") Springs in the U.S. is in West Virginia and Munger was back from Europe by 1894. 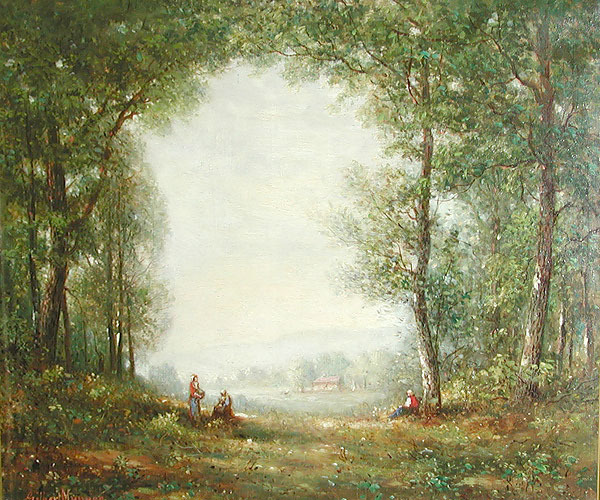 He could have easily gone to Berkeley Springs by railroad for summer painting and he was familiar with the area from the 1860s (see painting #20). A local resident confirms that the scene is typical of the area. An "E. Mary & Fils ... Paris" materials supplier mark appears on the canvas. 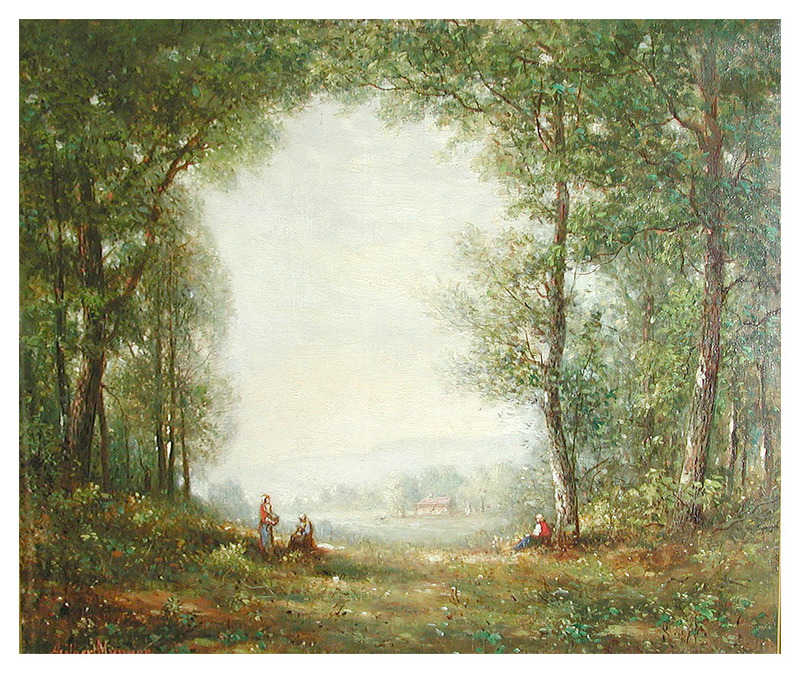 A gift from a Munger relative in 1984 to the Tweed Museum of Art, Univ. of Minnesota Duluth. QFD 64. Image from author's photo.